National Financial Switch is a network of shared ATM’s. It was developed by Institute for Development and Research in Banking Technology (IDRBT), Hyderabad in 2004. It is run by the National Payment Corporation of India (NPCI) currently. 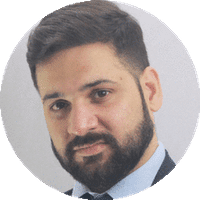 It aims to interconnect all the ATM’s in the country and facilitate easy banking to the users.NFS connects the ATM of member banks under a single network. The user or the customer need not avail the use of his core/ home bank for transactions. Since all the ATM of the member banks are connected, the customer can use any ATM other than that of his specified bank. The banks without ATM network but which can provide core banking facilities with 24x7 services can join the NFS through a sponsor bank. The objective behind such a move is to enable the non-scheduled cooperative banks and other regional rural banks (RRB) to access the wide network of ATMs in the country, enabling the customers of such bank to access banking services through any ATM of a connected bank. ➢Before 14 August 2011, NFS was limited to scheduled banks with RTGS membership. ➢The first bank to open ATM service in India was the Hongkong and Shanghai Banking Corporation (HSBC) in 1987 in Mumbai. 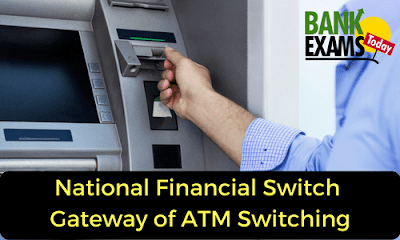 The national financial switch started with connecting the automated teller machine (ATM) of three banks, which are ICICI Bank, corporation Bank and Bank of Baroda. Later IDBRT worked to bring all the banks under common network thereby connecting 37 banks by 2009. Though NFS was developed and maintained by IDBRT, it was later shifted to National Payments Corporation of India (NPCI) in the year 2009. ➢Card to card fund transfer, in which transactions can be done using an ATM or debit card. The card holder has to enter the ATM/ Debit card number of the person whom the fund is to be transferred. Both the banks of the depositor and remitter should be a member of NFS. ➢Swadhan- the first network of shared ATM’s in India which was managed by India Switch Company (ISC) for a five-year period. It was set up by Indian Banks Association (IBA) in 1997.It allowed its member banks cardholders to withdraw cash from any ATM in the network for free of cost. The customers of the non-member banks were charged for any transaction made. 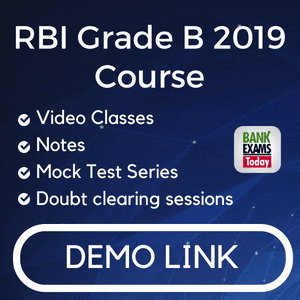 ➢Cash Tree- formed with interconnecting ATM network of Union Bank of India, Indian Bank, Bank of India, United Bank of India and syndicate Bank. ➢Punjab National Bank and Canara Bank also created such networks.